Laurence Fishburn wears Cartier C Décor Rimless sunglasses in Black-ish, season 1 episode 3. Laurence Fishburn wears Cartier C Décor Rimless sunglasses in the ABC tv series Black-ish, season 1 episode 3. This very expensive pair of glasses is available in different color combinations, and it looks like Fishburn is wearing one with black arms, platinum finish, horn. 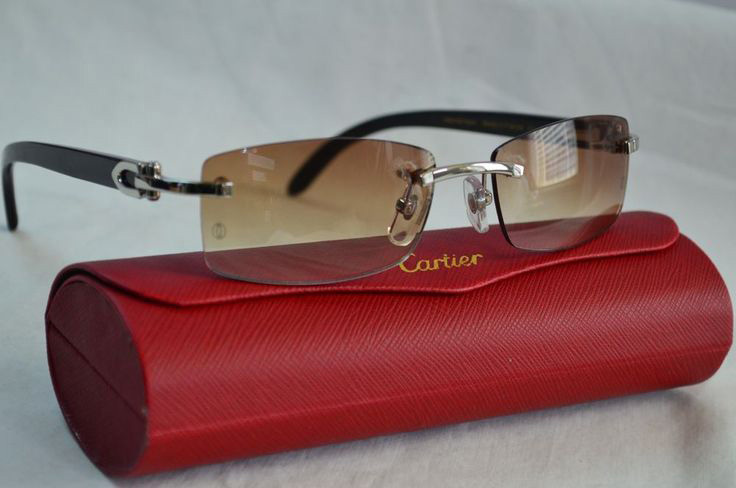 The list price of these Cartier glasses is $2,450, but could be higher or lower depending on the color/material combination. The elegant design is marked with a golden or platinum finish Cartier “C” décor on each temple. In this rimless models Precious materials like wood, horn and composite are used to craft the frame.